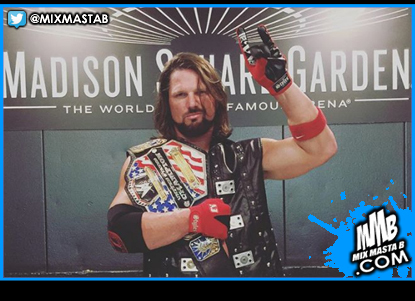 AJ Styles sent shockwaves through the WWE Universe tonight, as he defeated Kevin Owens to become United States Champion during a WWE Live Event at New York City’s Madison Square Garden. The Phenomenal One won the Independence Day Battle Royal on this past Tuesday’s SmackDown LIVE, earning a title opportunity against Owens at WWE Battleground, but apparently couldn’t wait to get his hands on The Prizefighter. The Phenomenal One’s victory leaves the status of his WWE Battleground showdown up in the air. What does this shocking turn of events mean for his and Owens’ future? Be sure to tune into SmackDown LIVE this Tuesday at 8/7 C on USA Network to see the fallout.